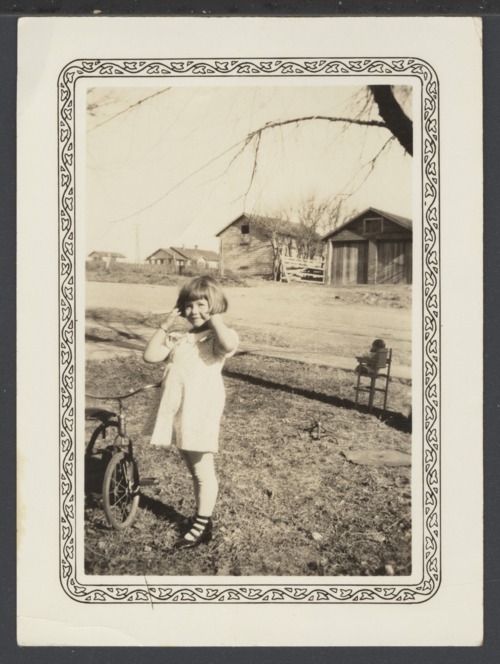 This is a photograph of a young girl playing in the front yard of the Burgess' home in Cimarron, Kansas. She is standing beside a tricycle. Visible are a few buildings located across the street from the Burgess' home. There appears to be a baby or a doll in a high chair at the right side of the image.